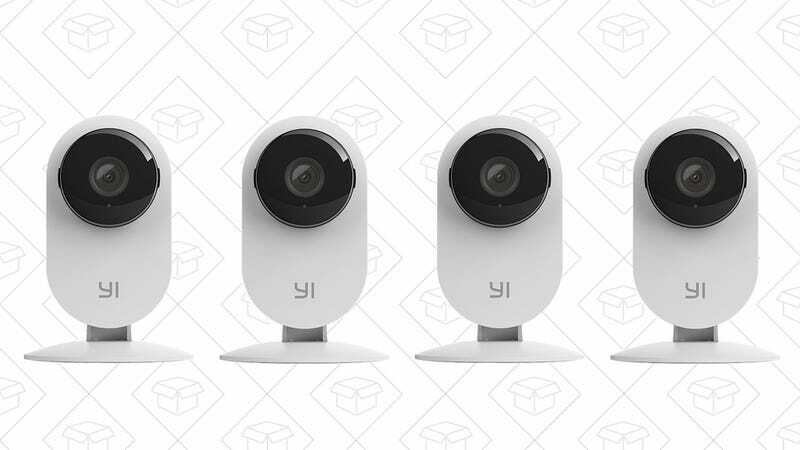 Yi, manufacturer of your favorite affordable action cam, also makes a home IP security camera, and you can pick it up four just $105 today with promo code 6ZKY83CN. The Yi Home Camera includes all the basic features you’d expect, including two-way audio, automatic activity alerts to your phone, and remote monitoring. Plus, you can store your footage locally on an SD card (while still checking in live over the internet), or pay for Yi’s cloud DVR service.